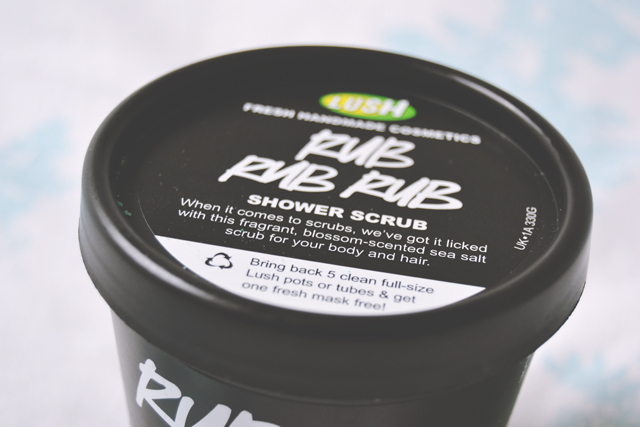 When I attended the Lush Summer Skin event at the beginning of the month, I was given a demo of a few scrubs and given the opportunity to choose one to take home. I chose Rub Rub Rub and it was one of the greatest decisions I have ever made! 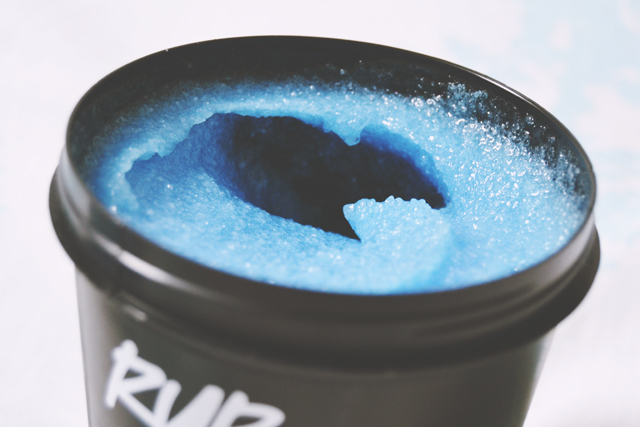 Rub Rub Rub is an exfoliating shower scrub made of sea salt to gently rub off dead skin and leave skin silky smooth. With notes of lemon, orange flower and jasmine, the fragrance is so fresh and really gives the sense of being in a brisk sea breeze. 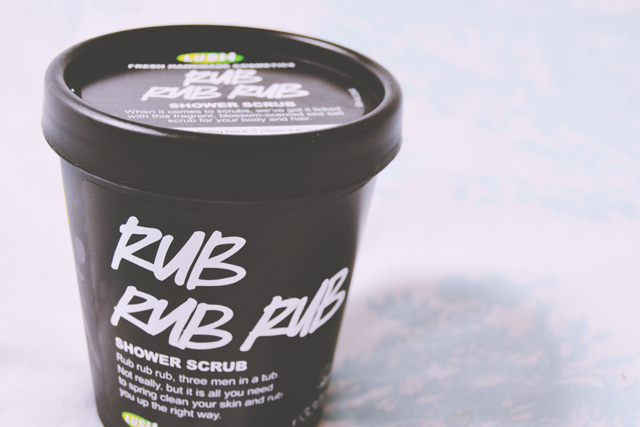 I used this scrub when I returned home from 2000 Trees festival and it was just what I needed. In the shower, I gently massaged Rub Rub Rub into my skin (although you can apply it on dry skin for a more coarse exfoliation), and rinsed it off with warm water. As I washed, I could feel all the dirt and grime from the weekend being scrubbed off my skin, resulting in an unbelievably refreshing feeling. The only downside was that the tub filled up with water when I reached in to scoop up more, and it was difficult to pour it out without spilling the shower scrub everywhere. This is hardly a game changer, though. Afterwards, my skin felt incredibly smooth and clean. 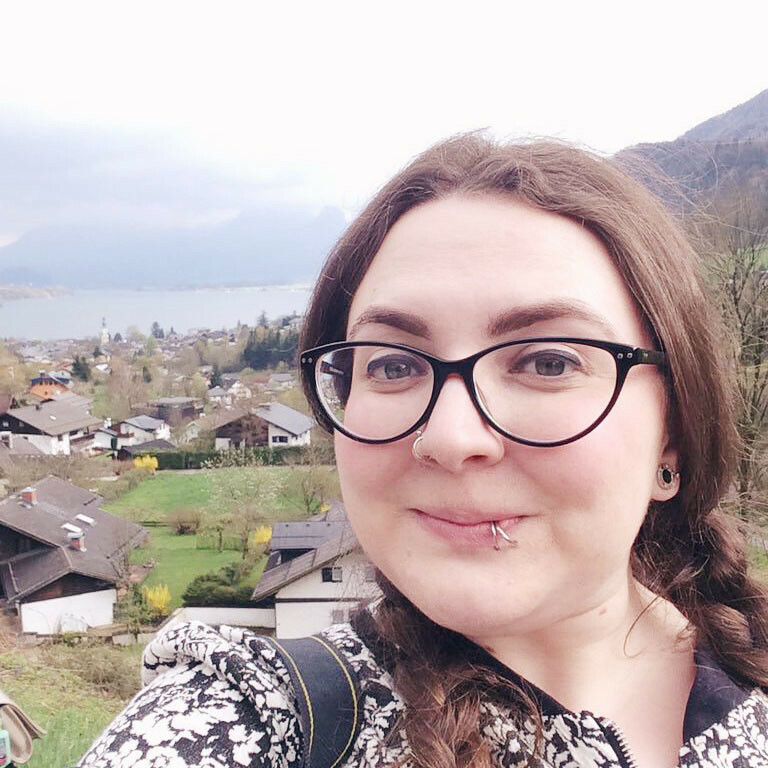 It felt like I had a brand new body and I couldn't stop stroking my arms and shoulders. My skin smelled amazing too. I absolutely love it! My boyfriend also loves using this whenever I buy it. It used to come in a bottle which was better as it meant that it didn't get filled with water all the time.